Contact us to plan any event with beer. Let us help make your event even more awesome. We help with any event where attendees require a great beer selection and enjoy having a good time. We do corporate happy hours, weddings, school alumni functions, fund raisers, civic events and any variety of private party. Start by giving us a little information now. Questions? Email us to start the fun now. Our event planners will contact you quickly to help start the process and provide a quick quote for equipment rental and beer. Mix Work and Play to keep the troops engaged and happy. When you help employees blow off steam, you pave the way to maximum productivity. Beer is the lubricant that makes teams succeed. Let us help you organize and stage periodic happy hours for staff members and/or clients. We work like a swat team, making it super easy to put on your company event. Our team will swoop in with beer, pour and serve it using any necessary equipment (yours or ours). We keep any equipment clean and in working order. Most of all we’ll keep your people in good spirits and allow you to focus on the business. Its affordable and – best of all – fun for all. 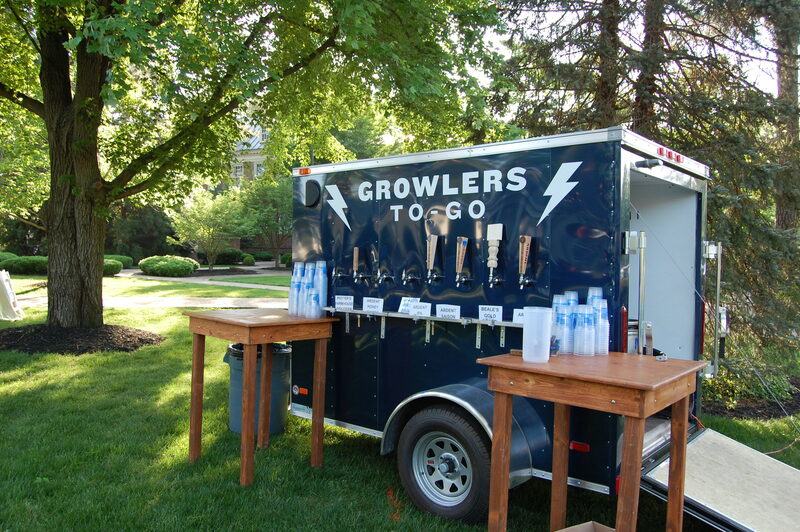 Draft Beer at your party or wedding is a great way to save money and entertain your guests. 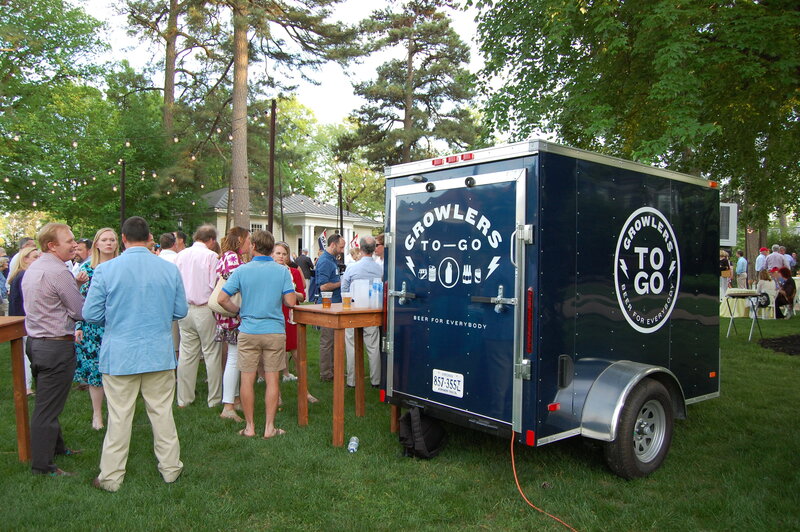 Using one of our tap trailers for an outdoor occasion will kill two birds with one stone. A half barrel keg of beer contains about 165 servings of beer. A half barrel of Founders All day IPA will cost you just over $200 whereas the package beer equivalent might cost double that. We’ll help you choose the right selection of beers for your crowd and advise you how much to buy for the expected number of attendees*. You can start with our party guide page, too. Need draft beer dispensing equipment? 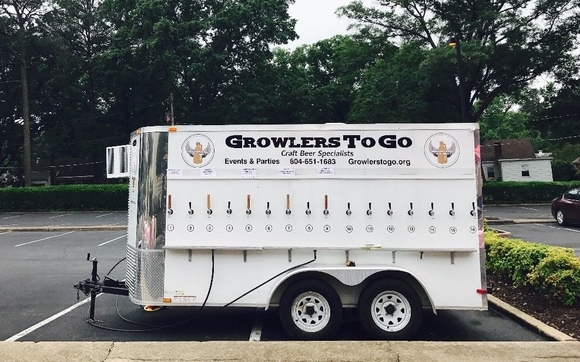 Read more about our tap trailers and kegerator rentals. We deliver, service, setup, clean and remove any equipment you need. * get help with how much beer you need for your expected attendees. An old adage: people like beer…Why not sell them a few pints to keep them happy while earning funds to support your non-profit cause. Virginia ABC allows any non-profit to do so as long as it applies for and obtains a banquet license. Its easy and relatively inexpensive. We have years of experience helping with this process. Most of all we’ll get you the beer that your patrons will rave about and buy cup after cup. Address any event related questions to events@gtgrva.com or by calling 540-470-0419.